Back in about 1982, I was a student of English at Chico State, presumably working on a paper on death in the poetry of Galway Kinnell. I had been reading his poems over and over, for days, I’m sure. I remember, vaguely, being pulled along by the words, surprised and baffled by the strange places they were taking me. This was very special art. Deep in the stacks of obscure books in the university library, I found a little 20 page book containing the text of a lecture that Kinnell gave at Colorado State in 1969. And it seems I found a couple of helpful passages, which I sat down and transcribed by hand on yellow paper. I decided to share this because, while many are undoubtedly quoting his poems, you won’t find this material mentioned. You can’t really find this anywhere, without great difficulty. A bookseller in Wadsworth IL has a copy for sale for $50. I’m sure there are copies in college collections, but it’s obscure and out of print. Fast forward a dozen years to the release of Imperfect Thirst in 1994. 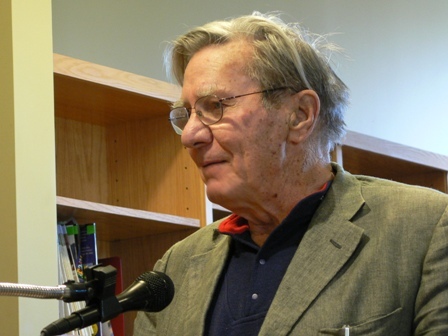 Galway Kinnell came to Santa Barbara to read. I was asked to pick up the cake for the reception at a bakery and take it to the reading. It was a massive sheet cake, the perfect likeness of the cover of his new book. 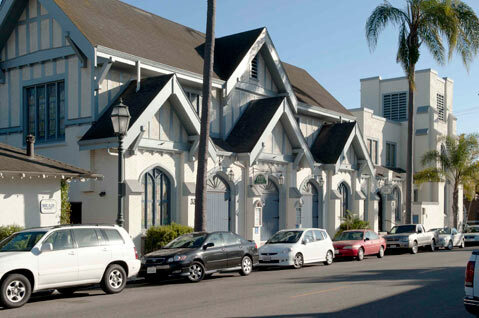 The reading was at the Victoria Street Theatre in Santa Barbara. It was raining. A few blocks away at the Arlington, Toad the Wet Sprocket was playing. There was nowhere to park. At the front of the Arlington, I couldn’t find anyone to help get the big cake inside. So I had to park far away and carry Galway’s cake in the rain. I know what you’re thinking… no, the cake and I both made it there intact. The poet had a cold that night but he soldiered on. 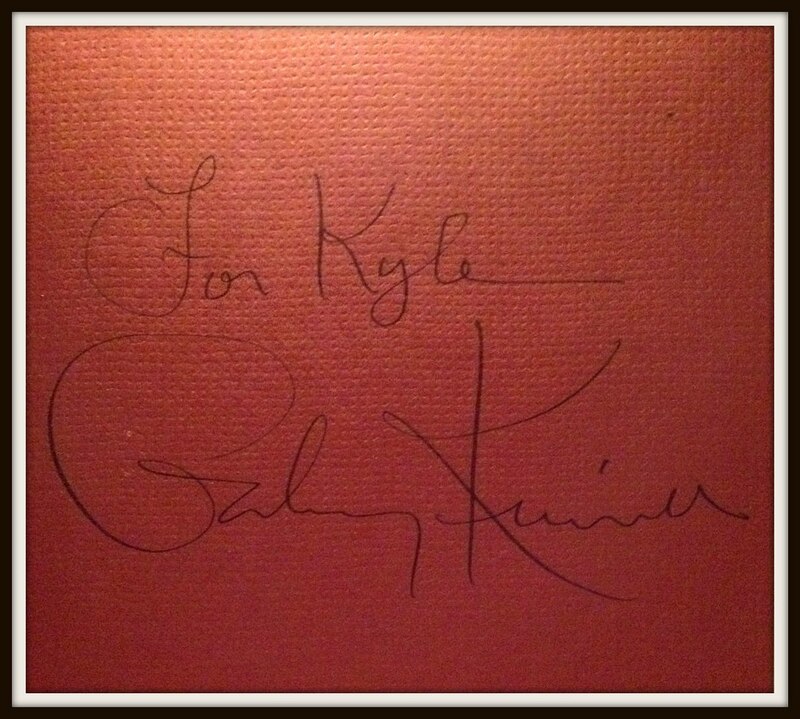 He read wonderful poems for us, and signed my book that was the perfect likeness of his cake. I remember he was kind and patient, stayed a while to chat before returning to his hotel to battle his cold. I don’t know about you, but I think that’s the best we can expect from our poets: that they explore what’s common to us all, give us a chance to contribute a verse (or carry the cake), and leave us something to remember them by. I have to say that in reading Galway Kinnell’s poems, I’ve always felt the presence of death but not as a terminal imperative; more as a continuum of Being. He hasn’t convinced me that we die, even today. from the other side of happiness. This entry was posted in death, poets by Kyle Kimberlin. Bookmark the permalink. I loved him too, and was just looking for a copy of this one for my own blog (which already contains several of his)…..but I see you’ve got it covered.